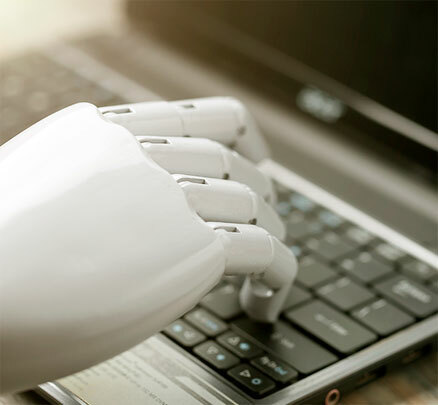 529 class="post-529 page type-page status-publish hentry"
how we use artificial intelligence to transform your service channels. Boost and automatize your service channels with the best cost-benefit ratio. Are you providing fast and accurate solutions across all your service channels? Improving the service experience is an imminent trend in the current scenario, which is becoming more competitive, becoming a key aspect of an organization’s success. Our solution uses cognitive technology to provide a customized, contextualized customer experience that is capable of providing answers and performing actions autonomously from a learning. This technology also provides great customization power for the solution, which can be modeled specifically for your needs. It is also possible to capture important insights about the interactions your customers are having, identifying new opportunities to enhance your service channels. A self-service experience similar to human conversation, able to provide answers and perform actions autonomously from a learning. According to IDEC, 40% of digital transformation initiatives will be supported by cognitive and Artificial Intelligence resources in 2019, accelerating the speed of critical insights for new operational and enterprise monetization models. The cognitive solution is fully customizable, and can be modeled specifically for your business. Contact us to understand how it can be applied to transform your organization.